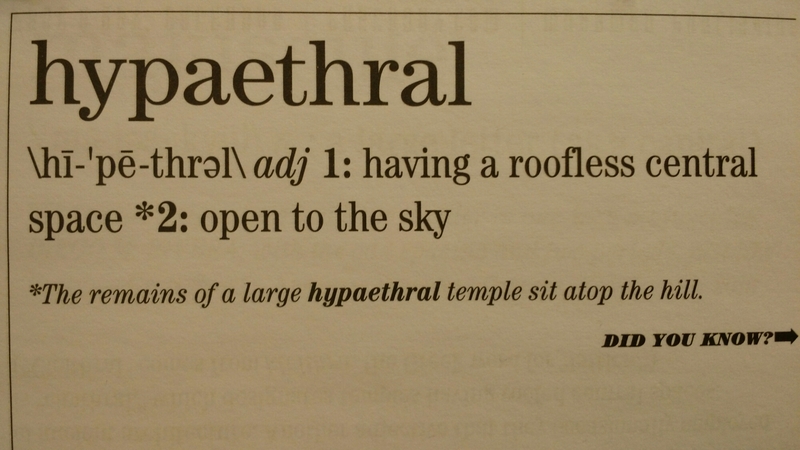 I’m beginning to suspect my word of the day calendar is making up words. I love it! I’ll probably never actually use it, but I still love it! late 18th century: via Latin from Greek hupaithros (from hupo ‘under’ + aithēr ‘air’) + -al.